Turnover was reduced from 33% to 2.8%. Employee retention increased as strengths were valued, motivators recognized and teamwork improved. Dispatcher Job Model profile, targeted advertising and customized interviewing made hiring more effective. Each of the 45 communication action items from the team sessions were addressed, improving morale and a sense of value (i.e. architect hired—redesigned work spaces, key people chosen to do the newsletter, etc.). Individual PDP profiles and TeamScan information was utilized for a more intimate understanding of each other. Conflict between and among the three dispatch shifts decreased as understanding increased. A committee to recognize employee excellence was implemented, further improving morale. When we are in trouble, have an emergency or a crime has been committed, we call on the police to protect and defend us. Personnel must be available 24 hours a day to calmly listen to our needs, reassure us and quickly dispatch the proper assistance. Can you imagine spending your entire workday listening to people in crisis and hearing the bad things that happen in your community? How do you find and keep personnel who can thrive in such a stressful work environment? Traditionally, turnover in police, fire and medical dispatch nationwide is 30% or more. El Paso County Sheriff’s office was no different at 33%. Understanding the need for stable dispatch officers, the need to improve morale, and the need to build teamwork between the 3 dispatch shifts motivated this office to set out to make positive changes. To retain valuable, trained dispatch officers. To create a more cohesive workplace. To solicit and hire new personnel who will be successful dispatchers. The Division Commander implemented PDP to address the above objectives. A ProScan® survey was taken by all dispatch personnel, identifying behavioral strengths, challenges and support needs. Shift managers were trained to provide ProScan feedback sessions, which lead to the development of individual performance goals for each employee. These insights provided new tools for conversing, encouraging, rewarding and counseling. TeamScan® was used at a retreat of the top 30 officers to increase understanding and identify actions needed to improve teamwork. TeamScan was also used in team building sessions for each of the 3 dispatch shifts. These team building sessions resulted in 45 action items to improve communication. Here are two examples from the 45 action items resulting from these sessions: 1. Hire an architect to assess the physical work environment—they stood up and yelled over cubicles to quickly send information to others, and 2. Develop a monthly newsletter from each shift to keep people informed. Using JobScan®, five high performer ProScans and 26 Job Dynamic Analysis Surveys (JDAs) were combined to produce a Job Model for dispatch. All three shift managers and 23 dispatchers, who had worked there one year or more, completed the JDAs. Amazingly, there was high consensus between the ProScans and the JDAs. They collectively knew what characteristics and behaviors would make someone successful in this job, but prior to the JobScan modeling process, they had no systematic way of screening for this profile. This process identified High Dominance as a preferred trait—drawing attention to existing interaction issues related to this characteristic. Coaching was then provided to the High Dominance personnel in order to help them “soften” their approach and learn to work better with different traits. Current advertisements were rewritten to attract applicants who fit the dispatcher Job Model profile. Using the “How to Advertise” section of the JDA report, applicants were screened against the model using the Applicant ProScan® survey, and behavioral interview questions were asked from the Interviewing Guide generated by JobScan. 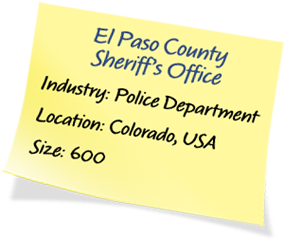 This Job Model and customized advertisement allowed the Sheriff’s office to look beyond experience when interviewing and increase the percentage of appropriate job matches. Each of the 45 communication action items from the team sessions were addressed, improving morale and a sense of value (i.e., architect hired—redesigned work spaces, key people chosen to do the newsletter, etc. ).